Be found online more easily by people in your market. 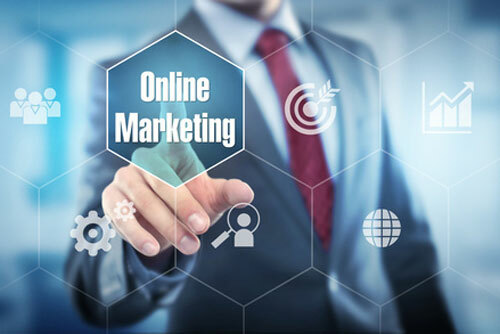 Why is Online Marketing necessary? Once your website is up and running, online marketing is essential to generate new visitors and to improve your website’s search engine ranking. Small and medium sized businesses find it difficult to compete on the Internet as large corporates dominate the results of search engines by spending huge sums on Search Engine Optimization, Search Engine Marketing, etc. How can a new website be found on the Internet without breaking the bank? The solution is to be part of an Online Marketing Platform such as ShowMe Pretoria and other ShowMe websites. ShowMe® has created the ideal platform for businesses to be presented to the online public. And ShowMe® is hyperlocal – the focus is on the Internet users in your area. What are the benefits of a ShowMe® website listing? Listing your website on high traffic websites is one of the key aspects of advanced Search Engine Optimization (SEO). This assists in building credibility of your website, driving traffic, increasing online brand reputation and ranking on search engines. With a ShowMe® Web Presence, a business doesn’t need to be on page one to be found on the Internet. After all, there are only 10 places on page one. If there are 11 businesses in a particular category, which 10 is going to be on page one which one is going to be excluded? With a ShowMe Listing your website is found on the Internet from day one – even if you don’t have a presence on Social Media. The monthly payment is by debit order. The 6 months and 12 months options, payable by EFT, include a 5% or 10% discount respectively. Businesses rank in the ShowMe Business Showcase section and search results depending on the ranking tier purchased with Tier 1 being the highest ranking and Tier 4 the lowest.